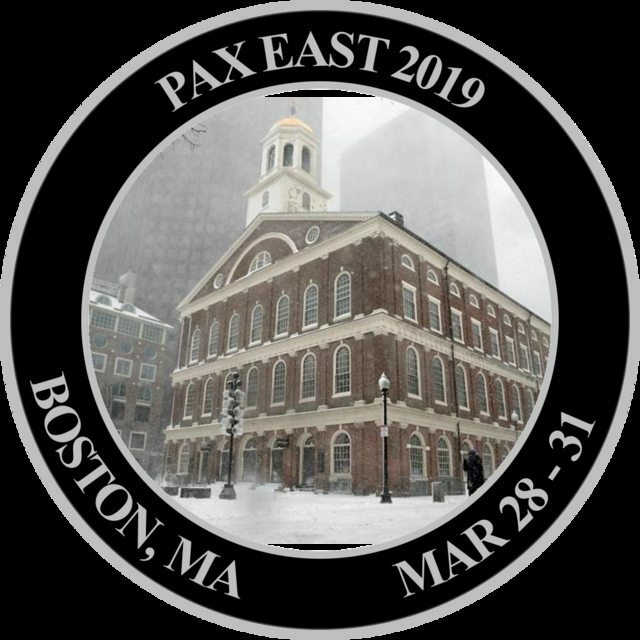 It's the Pax East 2019 Challenge Coin Thread! Go to the top of page 2! Questions are welcome as well. Is there a taste to the caulk? I cannot remember the gaming pattern. Since board games was last year (Scrabble), is it handheld or console this year? For landmarks, I don't think we've had the Hatch Shell, the old state house, Faneuil Hall (with Samuel Adams statue included), or the Aquarium. I could be mistaken though. As far as gaming.... Based on how streaming has blown up, maybe something along those lines? Although, I have no idea what that would look like. I believe Aquarium was one of the finalists last year until the T-Rex barged in at the last minute and killed the two raptors. In any case, I'm down for the Aquarium or Faneuil Hall. As for the gaming side, my mind gravitates towards things like Tetris and Battleship but I don't know off hand all the ones that have been done before. Or the PC killer app Minesweeper. I don't have every year's coins either. Can someone post what's been on all of them over the years? Then I wont through out an idea that has already been done, hehe. 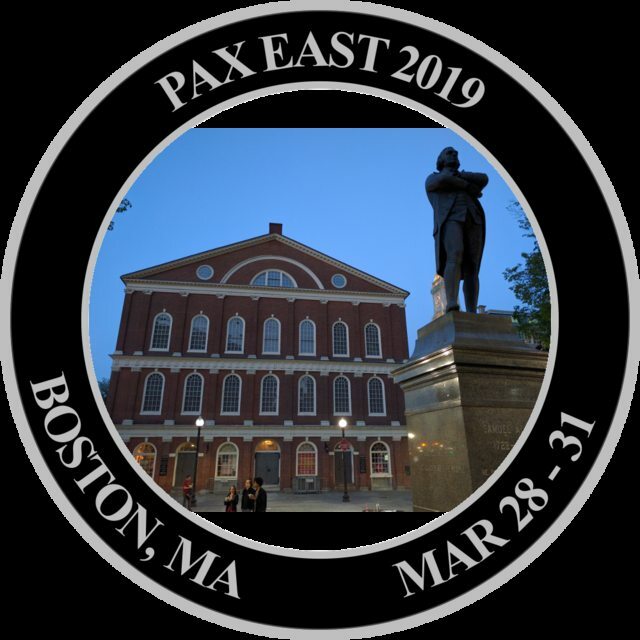 Regarding monuments, I like the idea of Faneuil Hall, the Aquarium, and the Old State House as candidates since that area isn't far from the BCEC and, by extension, plays host to PAX parties and the like. Looking through the Wiki page, I don't actually see a Tetris one yet, so that seems a strong possibility. Only real problem off the top of my head is that it might be considered too similar to last year's Scrabble by virtue of being a bunch of squares. How about Tetris being played on a Macintosh? I'm pretty sure it tastes like the souls of the damned, but y'know, I can't actually verify that. 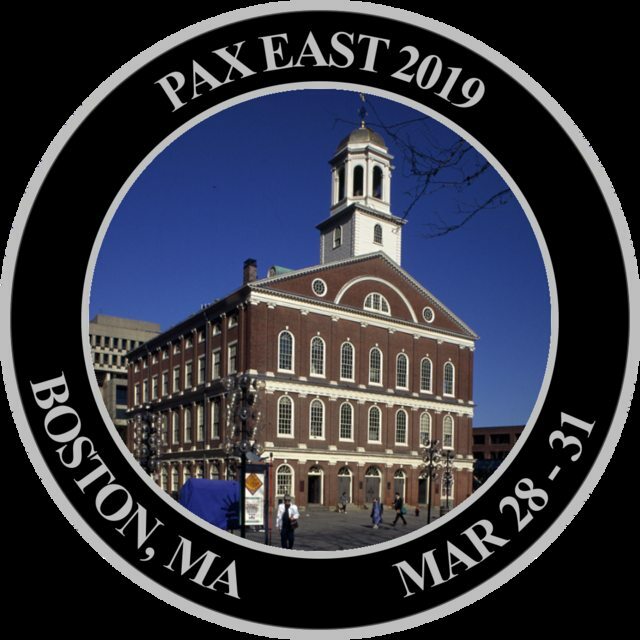 If you look at the link on the 3rd line of the OP, or right here you can see all the coins that have been done for every PAX, up to East 2018. I still hope one day the Swan Boats will win the landmark side. According to Wikipedia, Tetris came out for the Apple II in 1988, so 2019 would be the 31st anniversary! I can see that comparison, especially on the silver coins. But I think if it's a zoomed out grid with various blocks it could help differentiate itself just enough. Especially on the colored coins if the NES scheme is used. Although, if we do go the handheld route, that monochrome GB color palette would be interesting. And I'm also down with the Old State House as a landmark idea. But one of these years we need to do @SutibunRi a service and get those ducks their time in the limelight. Astroids is a fantastic idea. I wasted so many hours on that game. Just to put a pin this idea, but as long as we're talking milestones, 2022 will be the 50th anniversary of Pong, which is to say the 50th anniversary of video games in general. Computer Space takes offense to that statement, but since Pong looks better on a coin it will allow it. Ha, fair! I hadn't actually heard of Computer Space and just took it as a given that Pong was the first video game, since that's what most popular histories remember, but you're totally right, Pong was merely the first COMMERCIALLY SUCCESSFUL game. Sorry, Computer Space. I won't forget you again! 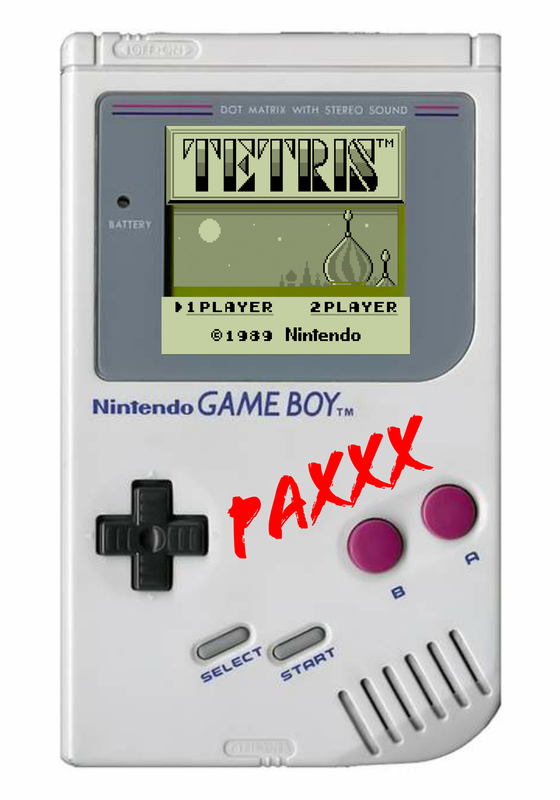 I just realized that the mockup looks like it says PAX, which is obviously intentional. Love the hellz out of it. Yep that was the intent =) Glad it came across! 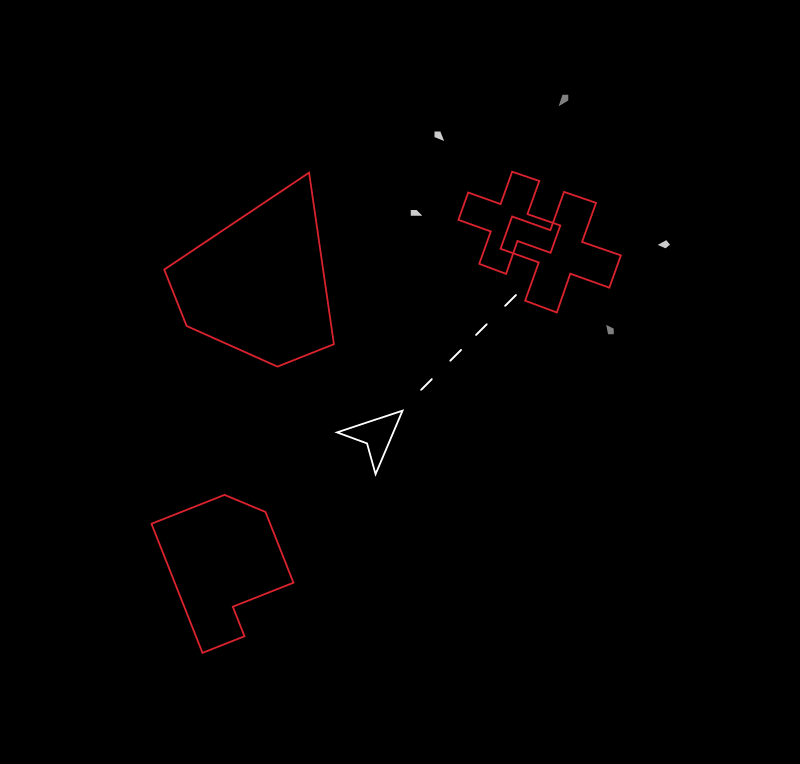 Since we already did Space Invaders I'm not really into the Asteroids idea, personally. Doing some googling, it looks like 2019 will be the 30th anniversary of Mother, Sim City, or the release of the Game Boy and the Powerglove (though we've also done a Game Boy coin too). Is there someone artistically inclined who could draw the BCEC area like SimCity? That would certainly be a unique gaming-side. I stopped reading after Mother. So...are we doing this? I don't know deadlines but less than two months out without a design feels like a bad sign. Except last year, we had mockups in December/January and voted early Feb. Going this late in the game without anything isn't a good sign. Hopefully our fearless leaders are well. I'm no replacement for SutibunRi, but I can give this a go. 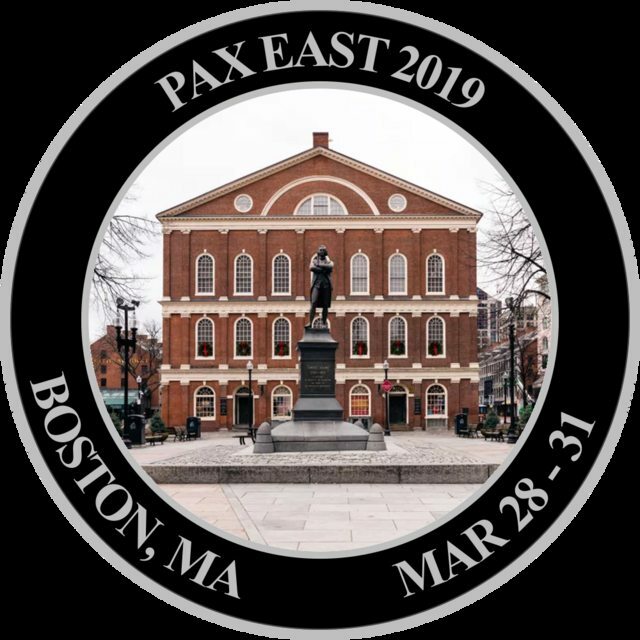 I helped put together the PAX Unplugged 2018 coin, so if you guys can help, let's get some mockups and make some decisions to get this made. Did the coins last year get epoxy coating? Like a smooth clear coat over the coin? I see it on the design documents, but I don't have one to check. It looks like previous years did not get the coating, and I know it was an issue this past PAXU, so I want to make sure it's done correctly. Fill out this form to make your choice!  We don't have a lot of time, so I'll leave this open until maybe Sunday night, and we'll start working on specific mock ups and submitting the design next week. Votes are in, and you voted for Asteroids and Faneuil Hall! We need to pick an image for Faneuil Hall though, do you guys like one of these or do you have a different one you'd like to see? In order to maintain detail on the windows and such, the building will probably need to be without color. EDIT: I just thought of this, but if we did the statue one, we could ask for a spot treatment on it like the t-rex from last year. Have the building in the standard silver coin finish, but do up the statue in black nickel or something so it stands out. Dunno if that's an option, but maybe. Which one do you like the most? Or send me a link for one you would rather see. Solanales I hope it's ok if we use your art? Also, may need to widen the lines to make them more visible on the coin. Unless there's any strong opinions, I'm thinking we'll keep the same black colored ring band as last year? Would you guys rather do a red East themed one, or go back to not having a colored outer ring? Also, I'm going to order these without the epoxy coat, as has been done previously. I don't think there was one last year. Definitely dig the colored outer ring. "East Red" is a good idea too. Either way, I'm on board. This is what red could look like. 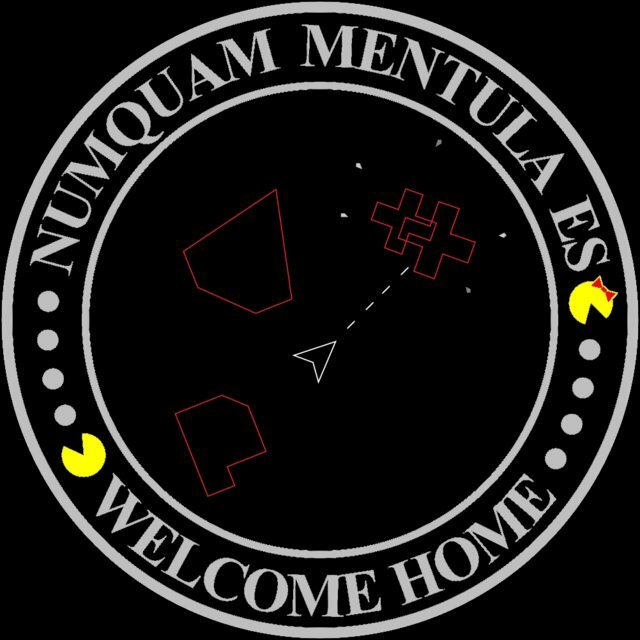 It does kinda mess up Ms. Pacman's bow. What if you left the Ring Black and made the lettering with in the ring Red. 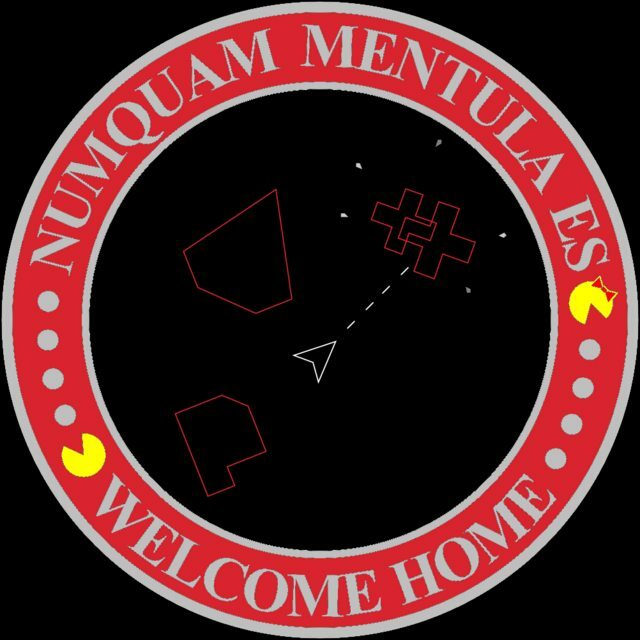 That would keep Ms. Pac Man's Bow pronounced and Still have the East Red? The lettering is raised metal. The color is just paint filling in the area around the letters. If we wanted to have painted letters, that would require them to have thin raised metal outlines, and lettering large enough to have space inside to fill with paint. It also means the unpainted coins would look weird, or require their own die which increases costs. I don't know that it's entirely doable at this point in time for this year to explore those options. Someone requested to see this image for Faneuil Hall. Not sure that the framing will work well, but it's not my decision. All colors should have some sort of metal outline around them, as it holds the paint in place.